For many new mothers, pumping quickly becomes an important part of their life, but often parents have little instruction on how to care for their pump and its parts. While parents will do everything they can to protect their children, it is impossible to guard kids against dangers you don’t know exist. Improper cleaning and maintenance of items that come in contact with breastmilk can lead to the growth of bacteria and even mold that can contaminate the milk. 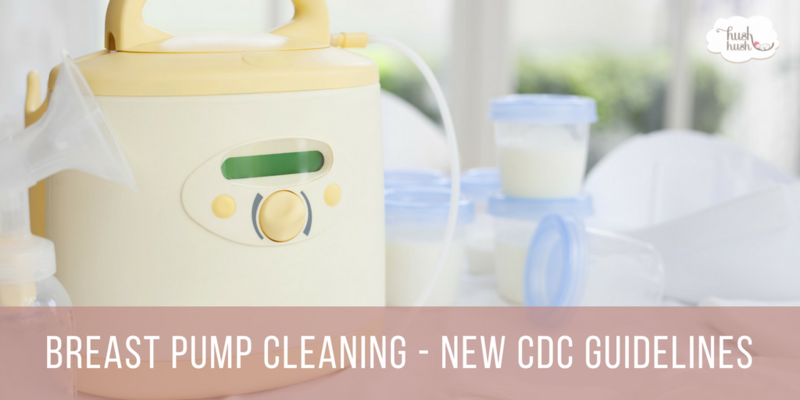 Fortunately, the CDC just released new guidelines for “How to Keep Your Breast Pump Kit Clean.” Below you will find a summary of the key points that should help you when it is time to do breast pump cleaning. Bacteria can be introduced into your pump parts a variety of ways, so it is necessary to check everything before you begin pumping. While you may not have thought about it, washing your hands before handling parts or touch buttons and dials is a vital part of breast pump cleaning. You should also inspect all connectors flanges and tubing for mold or soiling so you can immediately discard and replace anything that has been compromised. If you are using a shared pump, be sure to use disinfectant wipes on all surfaces before touching them. After each session, you should perform breast pump cleaning. The first step is to completely disassemble all parts that come in contact with your milk. Then rinse each part under running water to remove any milk that may have gotten on them during your session. Place the rinsed parts into a basin only used for parts and not directly in the sink or with other dishes. Clean the parts by hand or in the dishwasher but make sure to use soap and scrub with an appropriate brush if washing by hand. After washing, handle parts with clean, washed hands and allow them to air dry on a clean, sanitary surface. When performing breast pump cleaning, you should ensure that used parts are sterilized at least once each day they are used. Sanitizing parts is critical “if your baby is less than three months old, was born prematurely, or has a weakened immune system due to illness (such as HIV) or medical treatment (such as chemotherapy for cancer).” All items can be sanitized using a microwave steam bag or system designed for such use or by boiling. Make sure your parts are completely dry before they are stored. Using clean, washed hands you can assemble dry parts and place them inside a clean, protected area. You can use a sealable bag or container. It is crucial that all parts be completely dry before storage as moisture increases the likelihood of bacterial growth and mold formation. If you have questions about these guidelines or you need help with breast pump cleaning, contact us today. One of our Newborn Care Specialists will be happy to assist you.